Love flowers? This experience will teach you some basics of the techniques, tools and designs of making beautiful flower arrangements. You can even bring your very own hand-made floral arrangement home! Love flowers? This experience will teach you some basics of the techniques, tools and designs of making beautiful flower arrangements. In this one hour workshop, you will learn about the design concept, flowers and foliage. You can even bring your very own hand-made floral arrangement home! 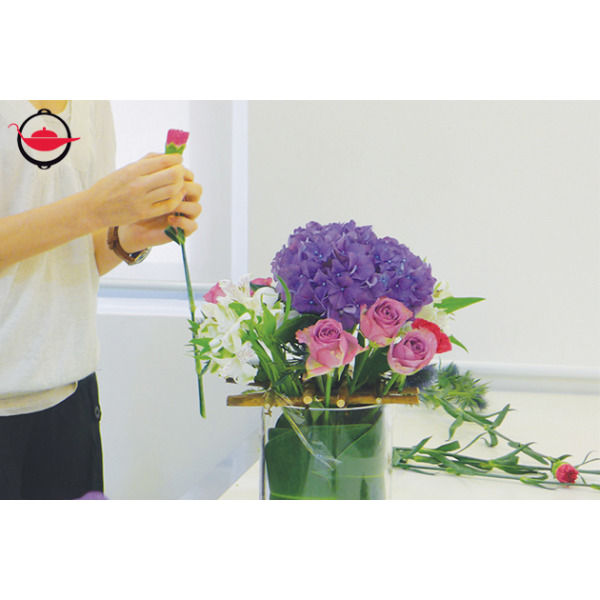 Designed for beginners in flower arrangements, this workshop introduces the basic concepts of modern European flower arrangements. 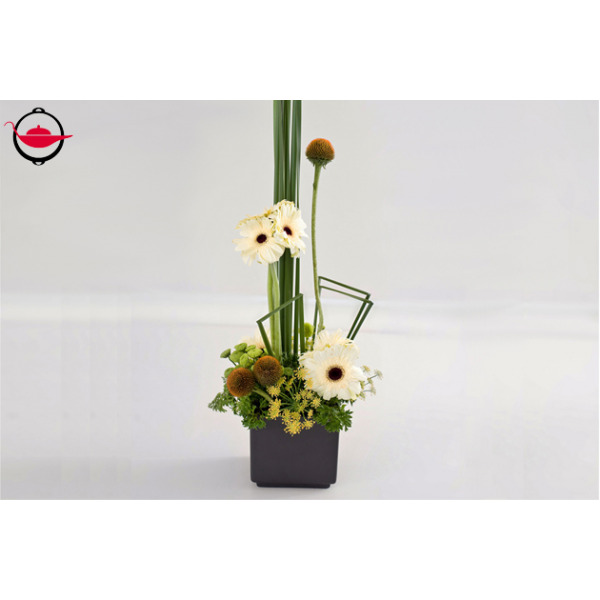 It will cover one flower arrangement which may be informal and modern line designs, free style or a practical daily arrangement. Participants will learn the Jane Packer London technique to make a corsage, headdress or bridal bouquet. 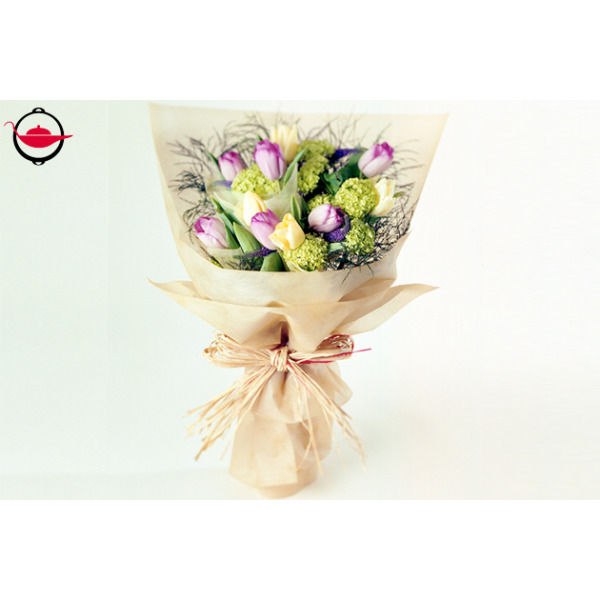 You will also learn the usage of different kinds of seasonal cut flowers and foliage. Learn to make the perfect floral gift and impress your receiver! 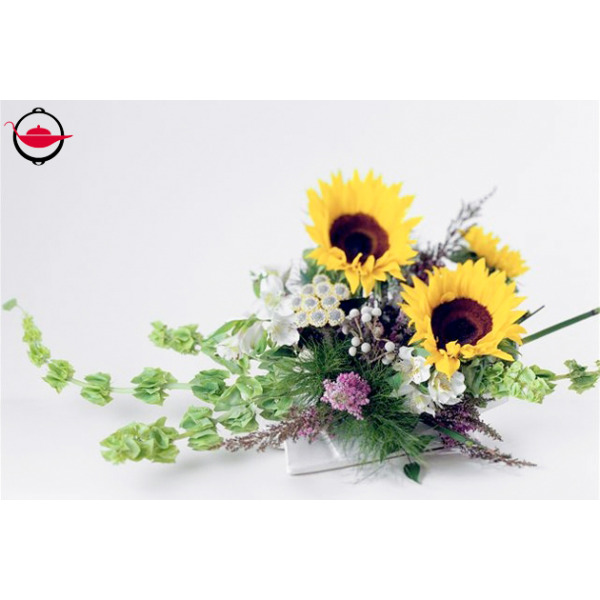 In this workshop, you will create a simple floral gift design such as a European country style basket wrap, fruit flower basket or Japanese floral gift box. This experience is valid for one person in a class of maximum 12 people. This experience lasts for 1 hour and is available on the below time slots. Bookings are subject to availability. This experience will be suspended when a storm warning signal No. 8 or above, or a Black Rainstorm Warning is in force two hours before the scheduled class. Spoilt will contact the participants to rearrange their experience date. 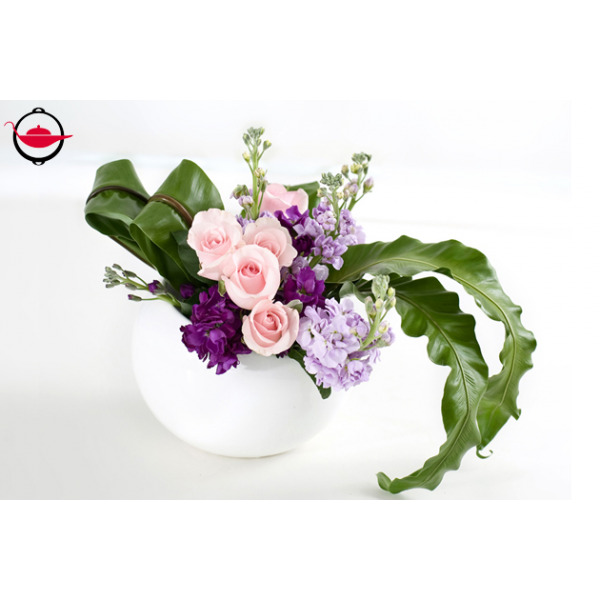 This experience is suitable for beginners, although absolute beginners in flower arrangement are recommended to opt for Modern European Floral Design. Children above the age of 6 are welcome to participate. This experience includes tuition, tools and materials, but participants should bring their own scissors.